Frankie's Weekend: Jamie's Italian - The Best Superfood Salad? If you know anything about me, it's that I like to eat out. A lot. It's not unusual for me to eat out twice, sometimes three times a week - I absolutely love it. 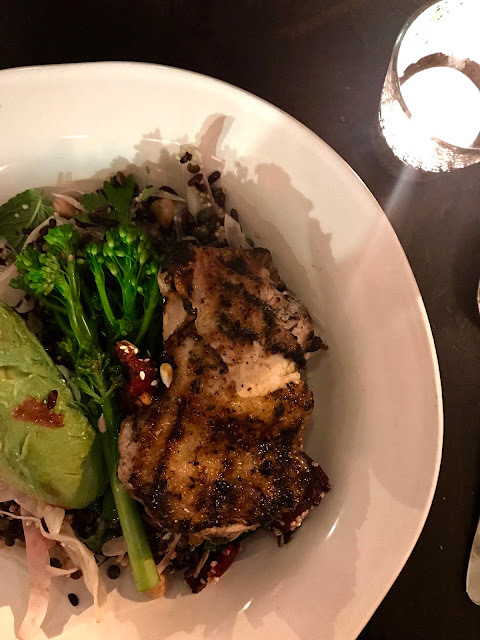 I love the atmosphere, catching up with family & friends over gorgeous food that someone else has cooked for you, the choices... if I was going to define 'hygge' for me it would definitely include eating out! On my 'about' page, I used to talk about the phrase 'buon cibo, buon vino, buoni amici' which is Italian for good food, good wine, good people (in fact, this was on my Instagram bio for a long while ~thinks back to a hundred other screen names I've had in the past... oh if only I could tell my 13 year old self that MSN names don't need to include Ashanti lyrics...~), but this phrase is genuinely something I really believe in - it encapsulates everything about a great evening for me. 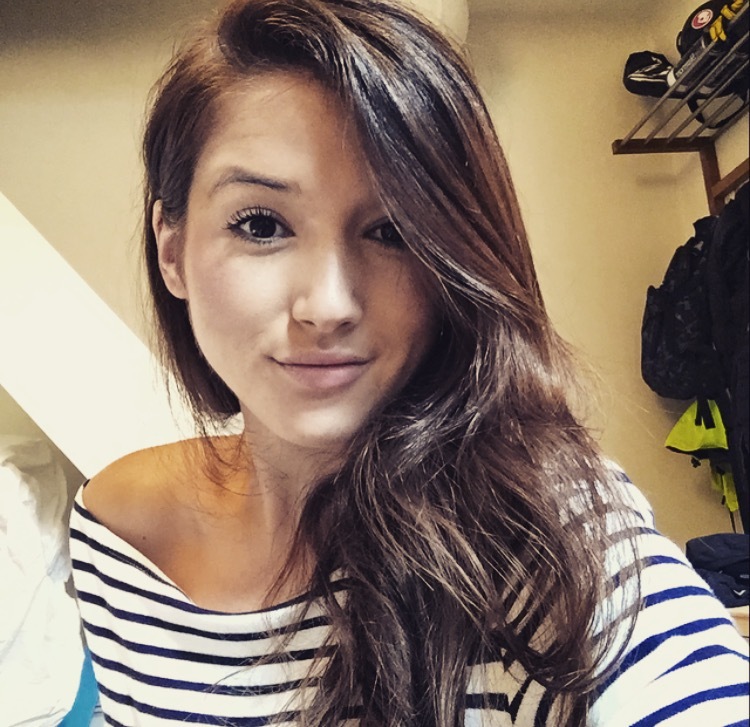 As well as loving the indulgence of eating out, this month I've also been trying to keep it healthy. 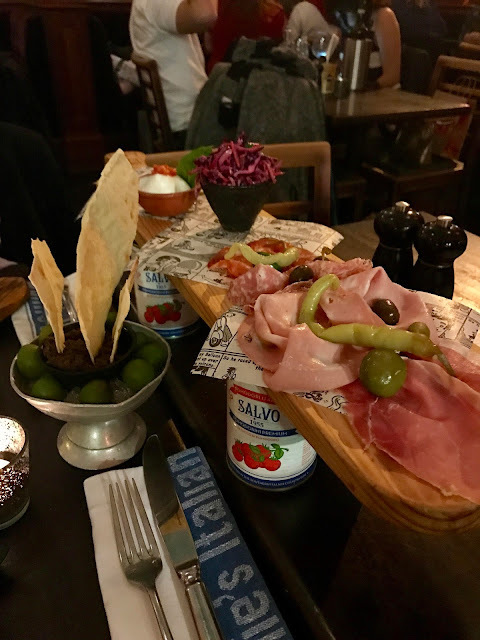 I've been booked in to review Jamie's Italian restaurant in Manchester since December, but I was too ill to go, so was really looking forward to last week, when James & I were re-booked. I'm surprised at myself for not having been into this restaurant in years. I think it's because I thought it was 'just another chain' and there are so many restaurants around King Street. However, the building is absolutely beautiful (a grade II listed former bank - with lots of original features and a gorgeous split mezzanine floor), so even if you're not out for dinner, the bar area is perfect for a unique place for a drink. 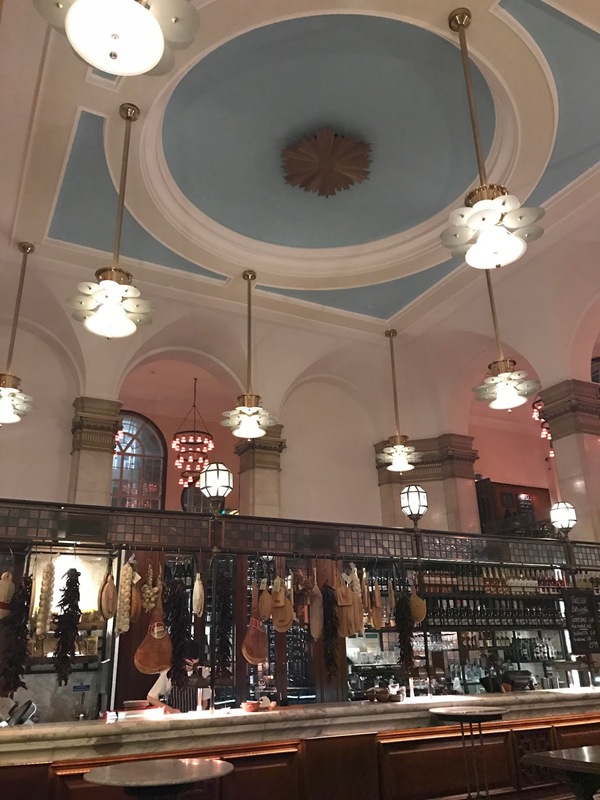 How beautiful is the ceiling? As I'm doing dry jan, I opted for their 'refresher' mocktail which was lush, fruity but not sickeningly sweet like some cocktails can be. James opted for a pint. 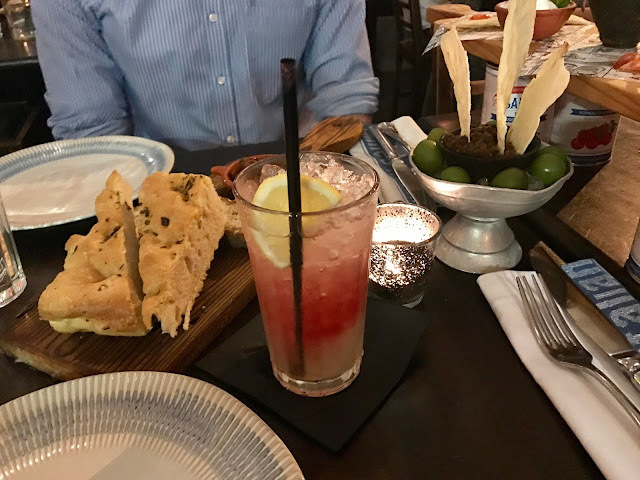 We started with some gorgeous olives, served on ice (which I've never seen before, and they were gorgeous - buttery and really juicy), and their bread selection with balsamic and olive oil (because James and I live for that combination). 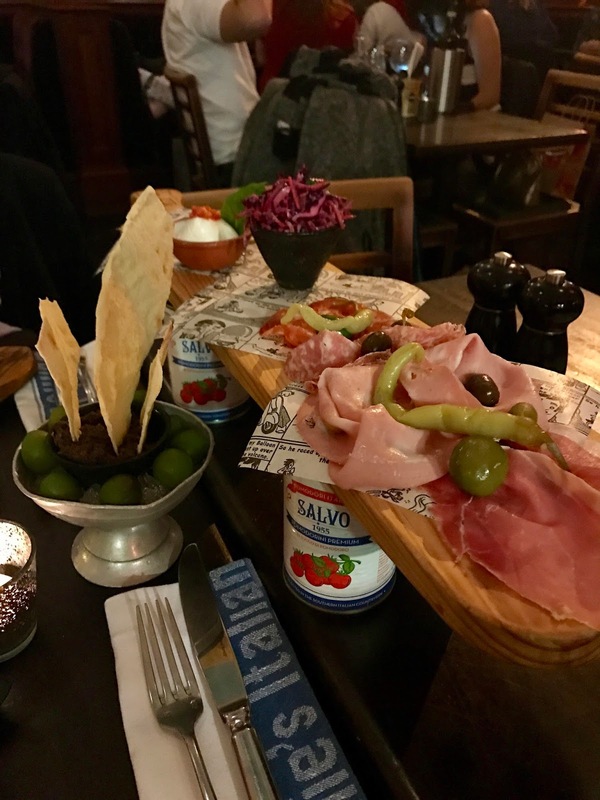 I was being mindful not to go 'HAM' on the bread as we'd also ordered the 'classic meat plank'. I love the way it's served, on top of 4 tins of chopped tomatoes and a wooden board. The waiter built our construction in front of us and we dived in. 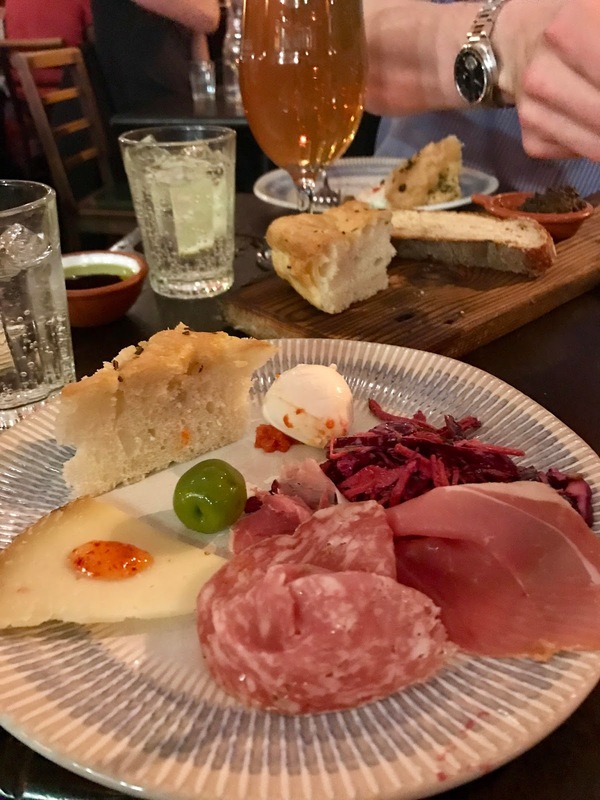 Usually, with sharing platters I'll pick and eat straight from the board, but I wanted to be a little more mindful about not overeating on the starter. I found putting my selection on a small plate encouraged me to eat less as I knew exactly how much cheese and meat I'd chosen. Firm faves included the mozzarella, pecorino cheese (it had a blob of chilli jam on top of each slice - such a nice combinatioin), and the proscuitto. 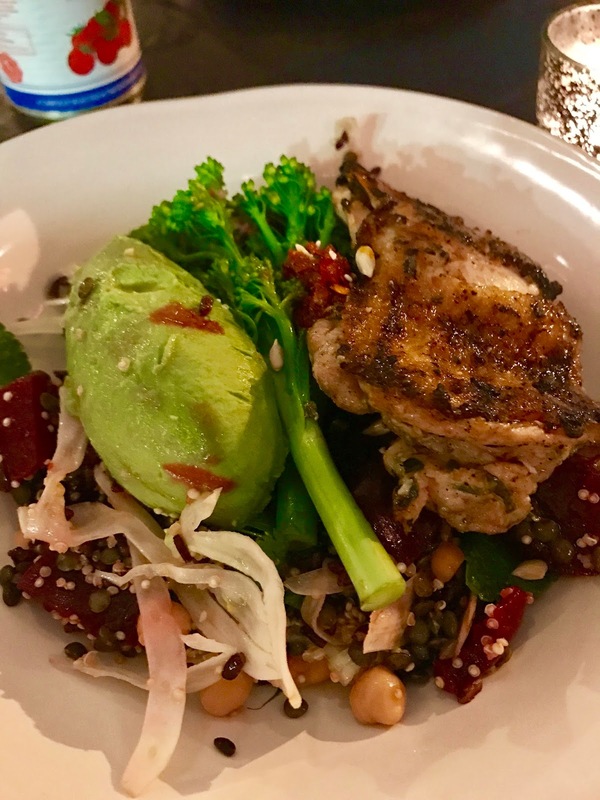 For my main, I went for the superfood salad with chicken. In all honesty, I really wasn't expecting great things as I've been disappointed with 'superfood' salads from restaurants before, however, I'd say without thinking twice that this is hands down up there in the top 3 salads I've had at a restaurant. Seriously, they know exactly how to cater for someone who wants a healthy main here. No limp lettuce, soggy Cesar-dressing coated peppers or crutons here. Oh no. 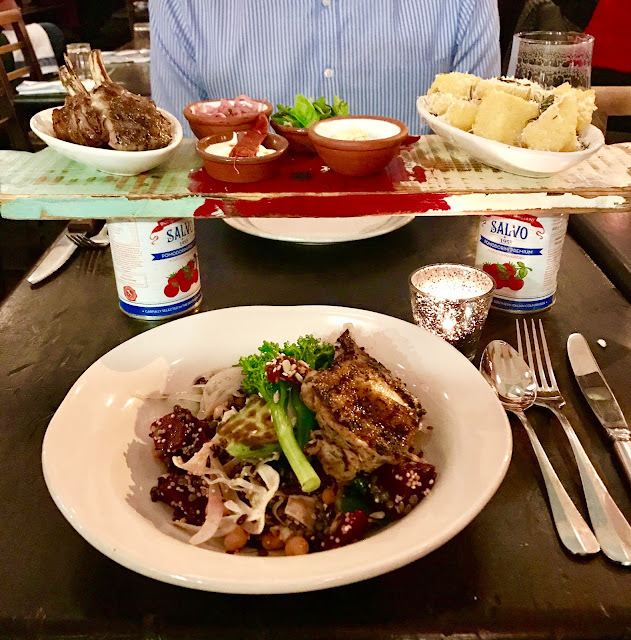 The salad consists of a bed of mixed pulses and grains (think quinoa, lentils, wild rice), half an avocado, roasted beetroot, sprouting broccoli, pomegranate, light harissa dressing, cottage cheese and crunchy seeds. I was intrigued by the addition of the cottage cheese as I wouldn't ever add this to salads but it worked really well - there was only around a tablespoon in the whole dish but added a welcome 'creamy' touch. I added free-range chicken to up my protein content. I was soo full, and couldn't finish the whole thing (which is unusual for me when ordering a salad...). James's dish looked insane, too. Despite not having the superfood label, it wasn't too unhealthy either. 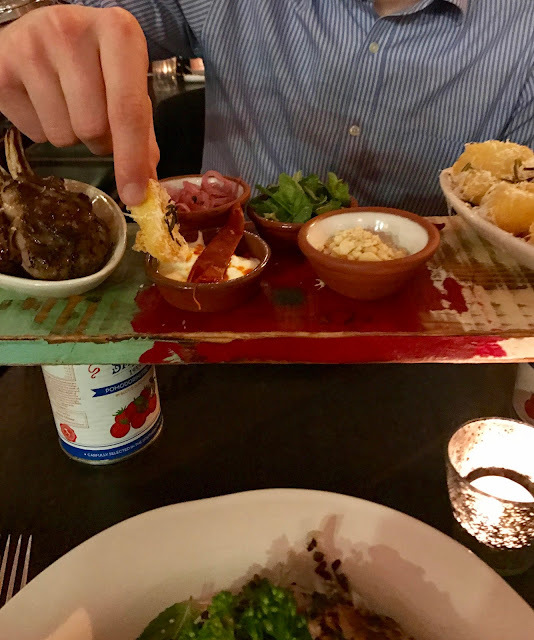 Lamb cutlets with a selection of toppings. We loved the unique way in which it was served, again on the chopped tomato tin base, with lots of little dishes so you could pick and choose the flavour for each mouthful. The little dished included a chilli and yoghurt dip, crushed nuts, mint leaves, pickled shallots and slaw. A hearty portion of Parmesan coated polenta chips finished this one off nicely (they were delicious, too). We really shouldn't have, but we shared dessert. 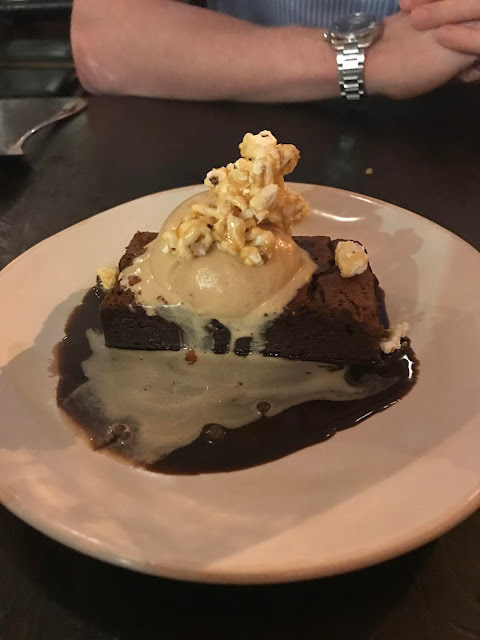 We opted for the 'epic chocolate brownie' with chocolate sauce, salted caramel icecream and caramelised popcorn. Not so healthy, but fricking delicious (#balance). I'm glad we shared though, it was really rich! 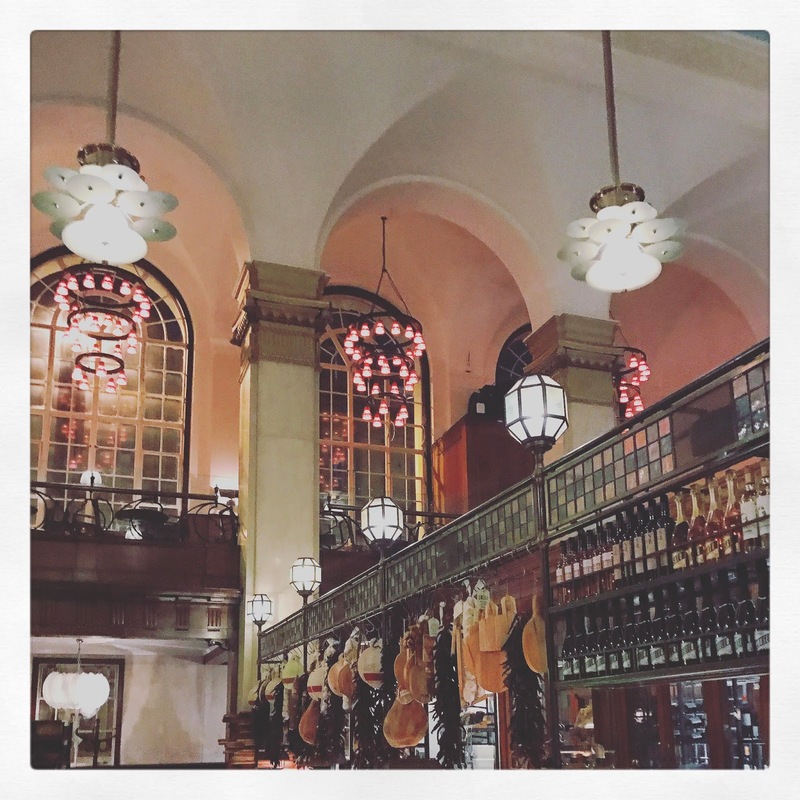 If you haven't been, I'd definitely recommend it - not just for the gorgeous food but the building itself; it's stunning!